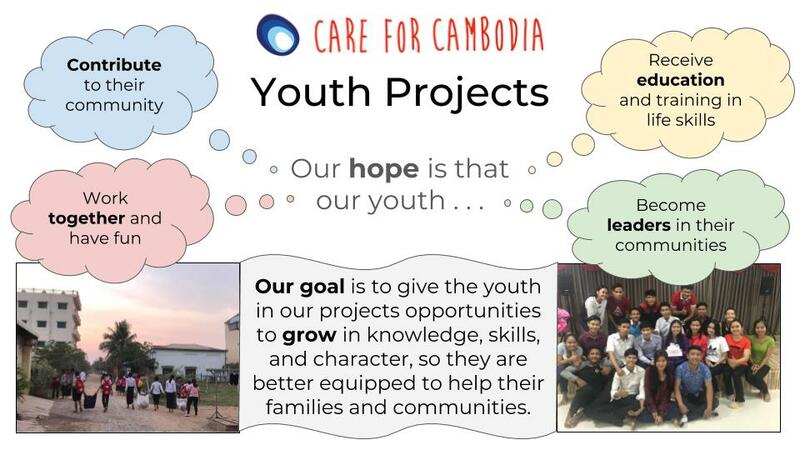 Many young people in rural Cambodia leave school without having been equipped with necessary life skills. 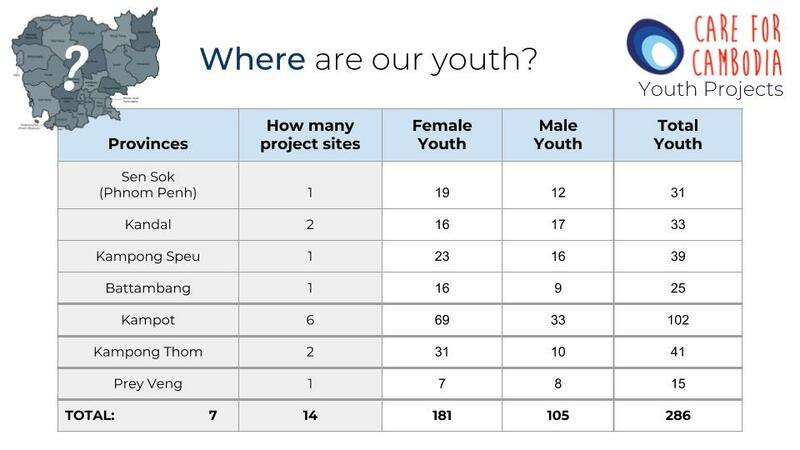 Our youth projects are all about investing in the lives of young people – by building community, supporting them in continuing their education, and giving them opportunities to grow in knowledge, skills and character – so they are better equipped to help their families and communities. Our youth projects have an educational focus, but we also incorporate significant life skills training. We also run regular youth conferences which bring youth from all over the country together for a few days. This helps them share experiences, make new friends and absorb the lessons of the conference. One of the main aims of the Youth Project is to foster a sense of togetherness and pride in their local community. Sport is a valuable tool in building camaraderie among the group. 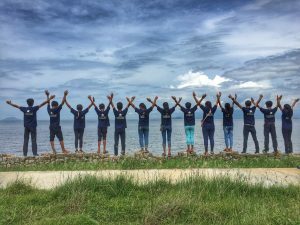 Delinquency, alcohol and drug abuse is common in rural Cambodia where young people have lots of free time on their hands. 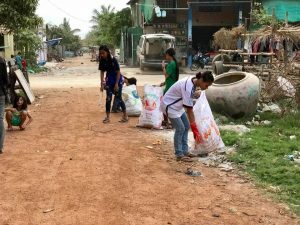 Care for Cambodia’s youth groups aim to fill that time with positive community-building activities like rubbish pickups in their local area. There are many academically exceptional young people who would love to continue to third level education but who lack financial means. 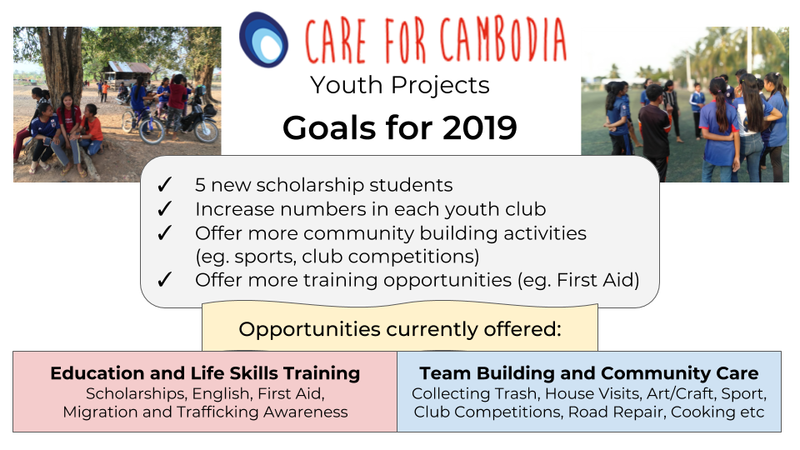 Care for Cambodia runs a scholarship scheme and selects 5 worthy new candidates each year. Each scholarship awards the student $500 annually and the conditions are that students must write monthly reports and also volunteer 3 hours per week in their community. 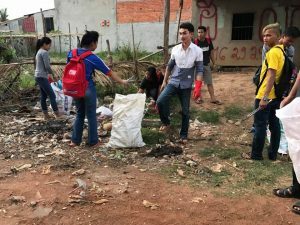 This volunteering aspect keeps the young person engaged in their community and also gives them an opportunity to act as inspiration to the children with whom they are volunteering.